This article explains about how you can use ExportFeed app for your Ecwid Store. 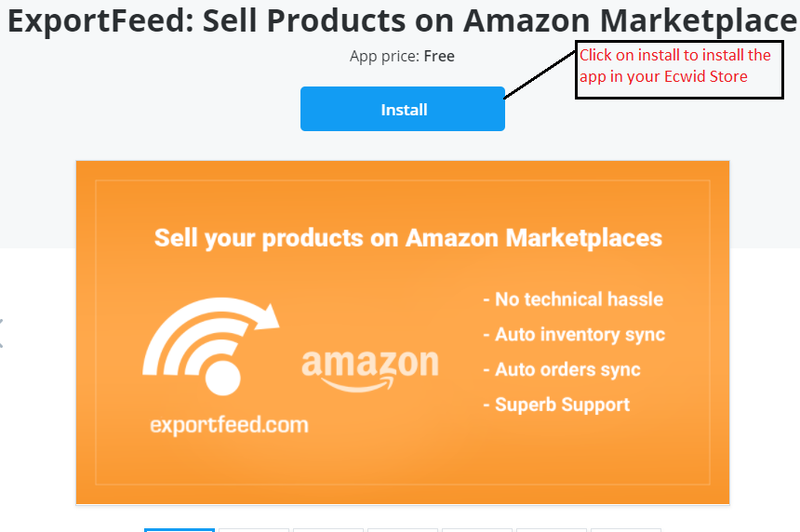 You can follow the steps to install the Ecwid app and access ExportFeed cloud service to start selling your Ecwid products on Amazon Marketplace. 1. Search for ExportFeed Amazon app in the Ecwid Apps Market. 2. Click on the “ExportFeed: Sell on Amazon Marketplaces” App. 3. Click on Install button, confirm the app permissions and click Install again. 4. After the installation, you will be redirected to our Cloud Service Dashbord. 5. Allow some time while we sync your products with our Cloud Service. 6. We’ll send you an email also to notify when the sync is completed. Note: The sync time varies according to your SKU & category count. 7. Now, you’re ready to start creating your Ecwid product feed for Amazon Marketplace. Check the documentation HERE to get started right away.